Have you ever asked yourself ‘Why do I have a white coating on my tongue’? If this sounds familiar, you also may have wondered why does your tongue feel fuzzy sometimes. The answer for all these symptoms could be on the tip of your tongue – sorry we couldn’t resist! Be honest: are you forgetting to clean and brush your tongue? You’re all set: a brand-new pair of comfortable runners, new active wear, membership in that fully equipped gym. It’s important to keep focused, so you decided to pack some snacks for the day: protein balls, cereal bars and sports drinks. They are a quick and easy way to keep the cravings away. There’s just a small detail going unnoticed: the fact that sugar can appear in many forms. Be careful! The hidden sugars could be ruining your new & healthy lifestyle. Why Do I Get So Many Cavities? We have a couple of patients at D4 Dentist – let’s call them John and Mary – that have a completely different approach to oral health. Mary brushes her teeth twice per day, flosses every night, has a special scraper to remove residues and bacteria from the surface of her tongue and uses mouthwash occasionally to top it off. On the other side, we have John, who consumes 2-4 double espressos per day and may go to bed without brushing his “not-so-pearly whites” (his words) more often than he would admit. On their yearly checkup, guess who needed five fillings? http://d4dentist.ie/wp-content/uploads/2019/03/why-do-I-get-so-many-cavities.png 454 689 Rozelle Owens http://d4dentist.ie/wp-content/uploads/2017/04/TopLogo_04-300x138.jpg Rozelle Owens2018-11-27 21:52:452019-03-18 22:43:05Why Do I Get So Many Cavities? Have you ever heard of teeth bonding? Today, we want to introduce you to this minimally invasive procedure, considered one of the quickest and most effective ways to improve the aesthetics of the tooth or the whole smile. First things first: What is teeth bonding? It’s a process in which a composite resin, made mostly by high-density plastic and inorganic glass, is applied directly to a tooth’s surface to improve its appearance or shape. Dental bonding doesn’t require extensive tooth preparation and rarely uses anaesthesia. 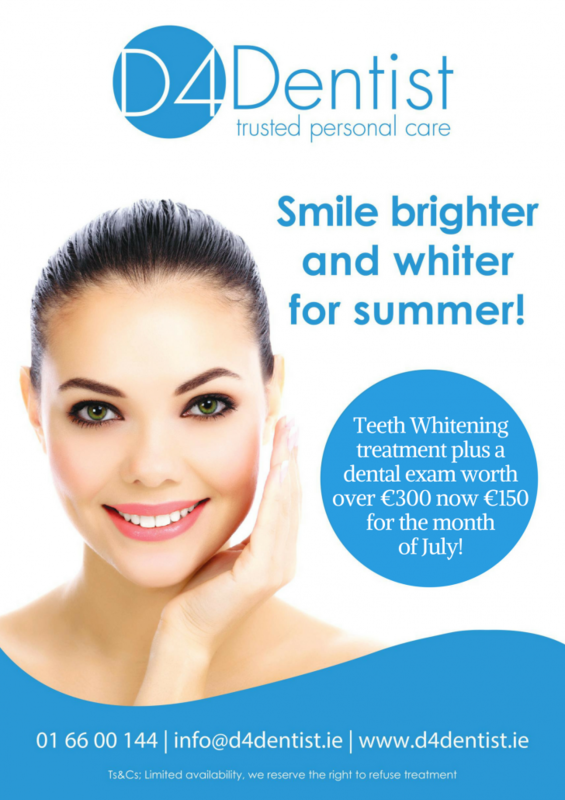 We will make customised trays for you and we give you a whitening pack, which you take home to use for up to 7 nights. A Tooth Abscess or Dental Abscess is an accumulation of pus. There are a few reasons a dental abscess may occur, but most commonly it is resulting from a dental infection. It is not always visible in the mouth but can be seen on an x-ray. If untreated, this condition can cause extreme pain and swelling and can progress to a severe, life-threating infection. In this article, Dr. Rozelle Owens will explain how to treat a dental abscess and its causes and symptoms. [Video] Wisdom Tooth Infection: What Causes It and What You Can Do – When the wisdom tooth is pushing through the gum, there is a flap of gum covering it. Plaque bacteria and food particles can get trapped underneath that. It can be difficult to keep the area clean, and this leads to an infection. The symptoms can range from moderate to severe pain. You can also suffer from bad breath, facial swelling, sore throat, earache, difficulty opening your mouth, fever and difficulty breathing. We will be waiting for you at D4 Dentist! Have you ever ignored a toothache just because the idea of walking into a dentist surgery make you freeze with fear? 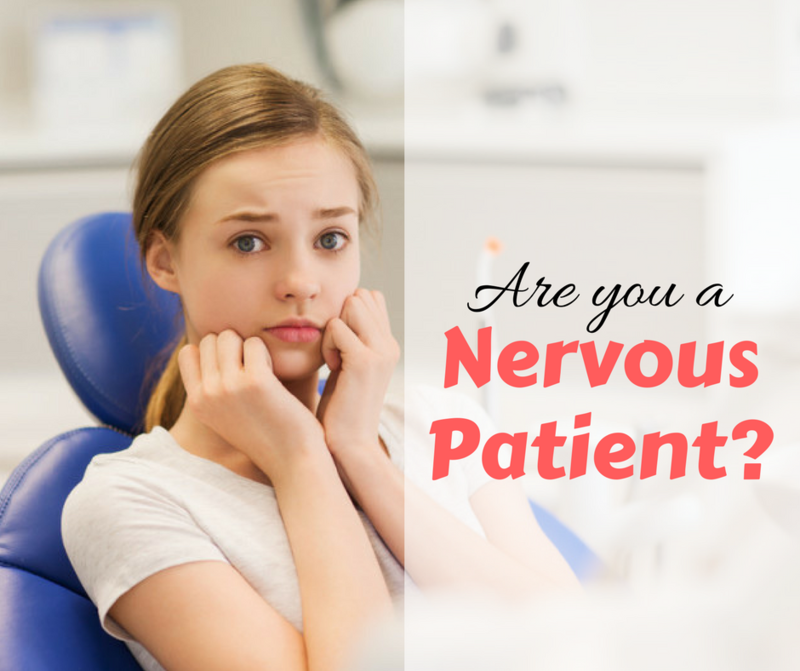 Are you a nervous patient? Don’t worry! You’re definitely not the only one. http://d4dentist.ie/wp-content/uploads/2017/03/NervousPatient-.png 788 940 Savana Caldas http://d4dentist.ie/wp-content/uploads/2017/04/TopLogo_04-300x138.jpg Savana Caldas2017-03-13 15:05:312017-08-24 13:44:19Are you a nervous patient?